Texting while in the driver’s seat isn’t just against the rules on city and state roads; it’s against the rules on the racetrack, too. After being warned about tweeting during an extended break during a race, Brad Keselowski was fined $250,000 for doing it again. Keselowski’s tweet included a picture of the car in front of him, which had caught fire after crashing. For his tweet, Keselowski gained hundreds of new followers…and the ire of NASCAR. The price for distracted driving isn’t worth it. 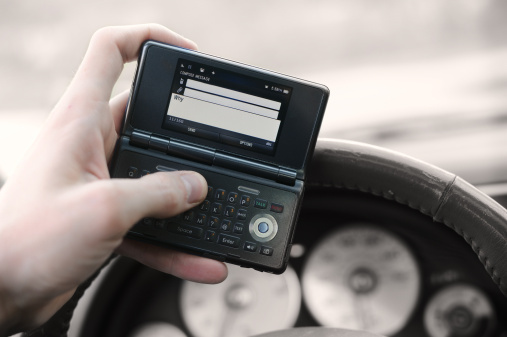 Try shutting your cell-phone off or keeping out of arm’s reach while driving. There are also apps that block phone calls and texts while you’re in the car—but cell phones aren’t the only distractions that you can have. Eating, putting on makeup and even changing the radio station can have just as much of an effect on your driving. Distracted driving accidents are completely preventable.